Southern Philippines, 17 October 2018 -- This is the third interview with an EAO Provincial Youth Ministry Delegate, this time with Fr Joriz from the Southern Philippines-Pakistan Province (FIS). Like many of his colleagues, Fr Calsa graduated from the Youth Ministry Department at the Salesian Pontifical University in Rome, Italy. How long have you been appointed as YM delegate? I am in my second term and 4th year as delegate for youth ministry in FIS. I have a team which we call Commission on Youth Ministry (CYM) with eight sectors: Schools, College, Parishes, CICL (Children in Conflict with Law, Youth at Risk), SYM, Youth Centers, TVET (Vocation Training Centers), and Vocations. Each sector is animated by a Salesian. The ‘Salesian Youth Ministry Framework’ is a fundamental document for each Salesian. How is the study of the ‘Framework’ going? The SYM Frame of Reference (FoR) as a reference book for Youth Ministry is treated not as a book but exactly as a point of reference especially whenever we develop certain talks or matters of interest. For example, if we are doubtful about the nature and identity of a Salesian school, we go to the FoR. I’m aware that also our Soc. Communication delegate uses it as a reference manual, too. How do you foster more effective formation of the SDBs and lay people in Youth Ministry? The YM delegate in our province is tasked to go around the different houses and settings and help in the formulation of their SEPP and development plan. In this active animation, I meet the LMPs working in close collaboration with the SDB community. Aside from this, the YM delegate, who took up formal studies in ‘Youth Ministry’ (Pastorale Giovanile) at the UPS - Rome, gives input and formation as per requests, to the different member of the Salesian Family as well. 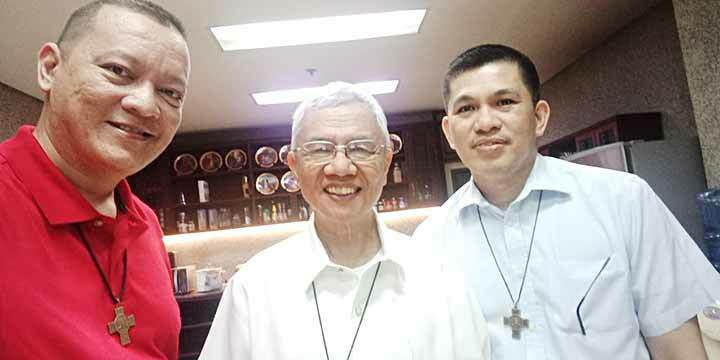 Personally, I also teach pastoral subjects in the Don Bosco Formation Center Aspirantate that will be of practical use for the seminarians or future Salesians. What kind of processes do you accompany in your province as Youth Ministry delegate? As the YM delegate, I am in open dialogue with the other commissions of the province. I personally lobbied the idea of a “Synergy Meeting”, that is, every year there must be two meetings of all the commissions of the province with the provincial facilitating the meeting with the objective of interfacing and collaboration. Secondly, as a member of the provincial council, I bring the concerns of the sectors and settings for us to reflect on and make decisions easier for the provincial. Thirdly, as a youth ministry delegate working in an office, I do not cut off my presence with the youth. What is the main contribution of the YM commission in your province? FIS is in close collaboration with FIN when it comes to youth ministry. At the moment we realize that we have some advantage if we bring our action together. An example of these are that we have ONE TVET Philippines, ONE SYM Philippines (which includes the FMA province of the Philippines-PNG), and the ongoing process of integrating all our Don Bosco Educational Centers in the whole country. Another direct influence of the YM Team is the active animation of our eight different sectors, thus assisting the provincial and his council in making decisions. We also assist in the meetings and legal discussions between the Salesian house and its would be partner institution or industry. 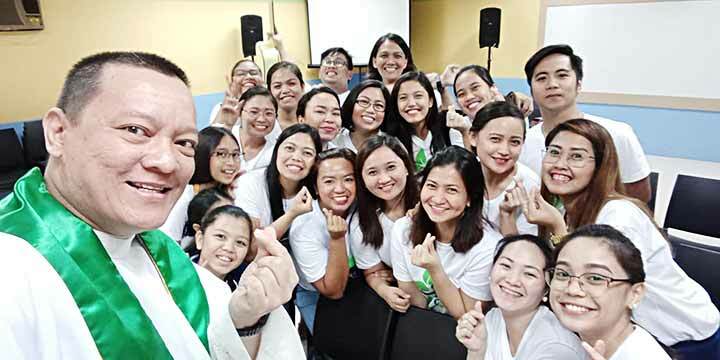 The YM delegate is knowledgeable in youth animation and thus offers his services through the Youth Ministry School, giving seminar workshops to the members, leaders, and animators of the Salesian Youth Movement as well as the neighboring parishes in the dioceses. The office of Youth Ministry - FIS is invited from time to time to give talks to the religious communities and Commission on Youth of the local Churches. The 2018 Synod is about Young people. How do you maximize this opportunity? The Synod on Youth has given us a paradigm shift in dealing with the youth especially aligning with what the Mother Church teaches, that of listening attentively to the youth. We have started implementing this practice especially early this year when we had our revision of the SYM vision, mission and identity after 30 years of serving the youth in the Philippines. We realized that youth have a lot to say and contribute. Secondly, the timing of the Synod is but a preparation for the incoming Provincial Chapter next March 2019. We plan to revitalize our influence on youth and youth ministry first by reflecting on what the GC28 posed as questions for reflection, particularly asking the young people and the LMP their expectations. Hopefully through PC 2019, the whole province will come up with both short and long-term planning for the accompaniment of youth and ministry, especially strengthening youth and family ministry. What would you like to learn from the sharing among different EAO provinces in the annual meeting? In all the EAO meetings, so far the best parts are the sharing of each delegate. I personally look forward to the goodnight and the group sharing. But to be very objective I want to have a follow-up discussion on Youth Ministry and Family Ministry and also, I want to have a copy and interpretation of the Auxilium and UPS survey done prior to the meeting last September 20-24, 2018. The facts and survey results for EAO were not presented. I wish Fr Fabio good health and fast recovery for his left eye. I admire him so much, since his passion and energy have not diminished even a single percent. God bless him.